Kaori Watanabe illustrated this charming world map for our Our World Jumbo Puzzle from Mudpuppy. 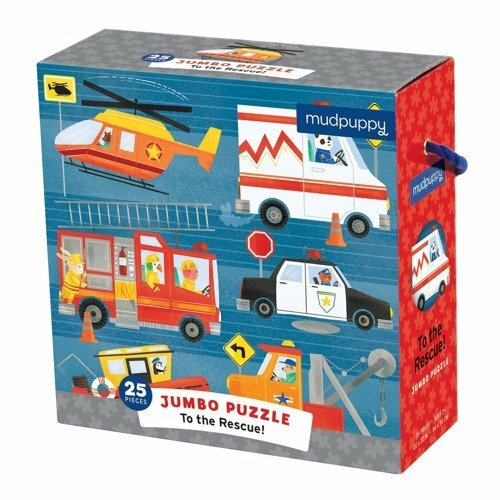 Piece together a fun scene of zooming rescue vehicles with Mudpuppy's To the Rescue Jumbo Puzzle. 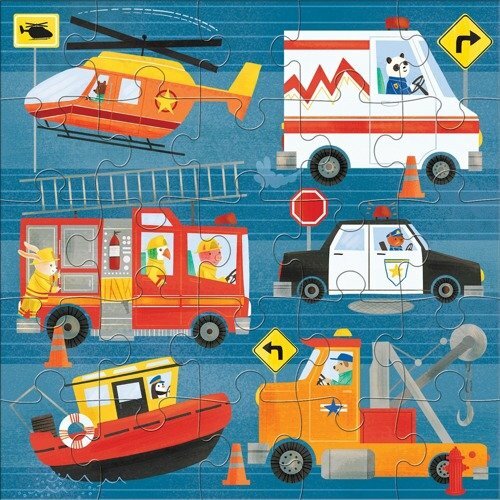 A police car, a fire truck, and an ambulance are just a few of the vehicles you'll find as you assemble the 25 oversized and durable puzzle pieces.